Healthy San Francisco is scheduled for a checkup in the next month or so to fix flaws in the five-year-old universal health care program. 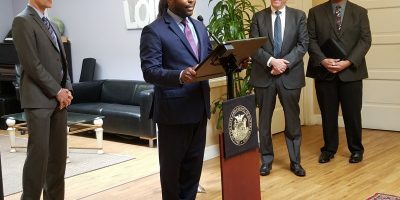 Healthy San Francisco – administered by the San Francisco Department of Public Health — aims to make health care accessible the city’s uninsured residents. Unfortunately, how businesses pay for the program has become an issue in City Hall. Supervisor David Campos would like the Board of Supervisors to hold a hearing on businesses that tack surcharges onto customers’ bills on behalf of Healthy SF but then pocket the money. He argues the practice puts businesses at a disadvantage who appropriately enact the Healthy SF program. Rob Black, the executive director of the Golden Gate Restaurant Association, says the legislation Mayor Ed Lee signed late last year fixed the problem by clarifying how employers can spend money set aside for the Health Care of their uninsured workers. He accuses Campos of using outdated numbers to make his case. However, Campos claims that a civil grand jury report released in July supports his belief that the most recent employer mandate is not working. In 2010, employers covered by the program put aside $62.5 million into Healthy SF accounts but got back $50.1 million because of the use-it-or-lose-it loopholes. At present, more than 47,000 people take part in Healthy SF receive treatment at 37 clinics and emergency rooms in The City.